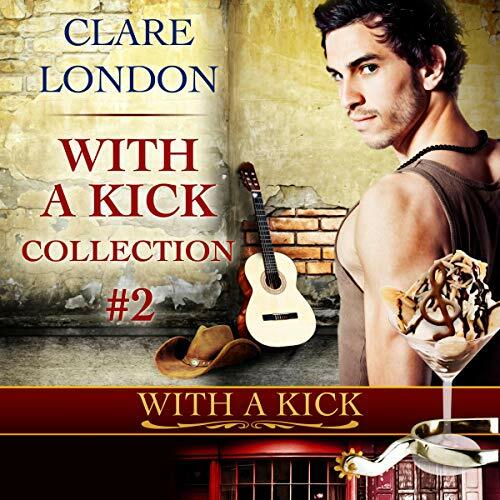 Erryn reviews ‘With A Kick: Collection #2’ by Clare London. This book was released by the author on April 16, 2018 and is 232 pages. The audiobook was narrated by Joel Leslie and published by Jocular Press. The audio was released April 5, 2019 and is 8 hours and 58 minutes long. A copy was provided for an honest review. Why I read this book: Ice cream? Alcohol? Joel Leslie? Count me in. This collection includes Clare London’s second two charming London-based novellas of the With a Kick series -Pluck and PlayandDouble Scoop.